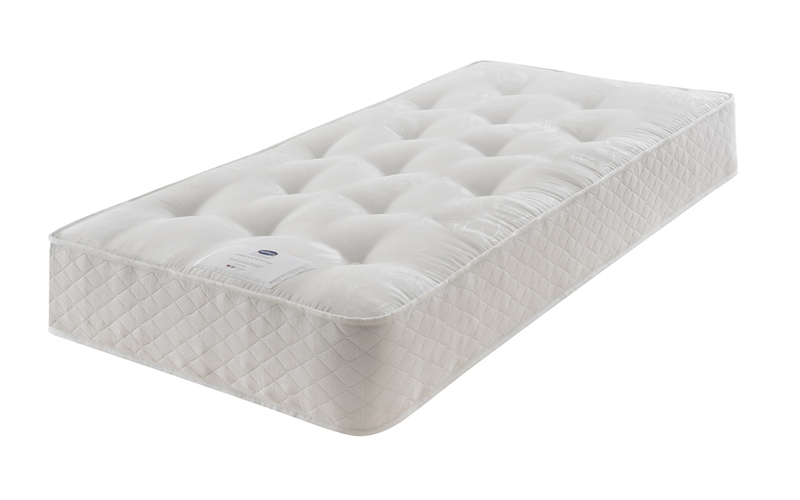 The Silentnight Essentials 600 Mirapocket Mattress is a quality, pocket sprung mattress at a great price. 600 individual pocket springs absorb movement throughout the night and respond to your body shape to give personalised support. Hypoallergenic comfort fillings also ensure you sleep soundly on a cosy surface. Made in the UK and with Silentnight’s five year guarantee, order now to receive free next day delivery!